Watches don’t have to be round. They can be square, oblong, or rectangular, and take their design inspiration from all manner of things. From the astonishing H.R. 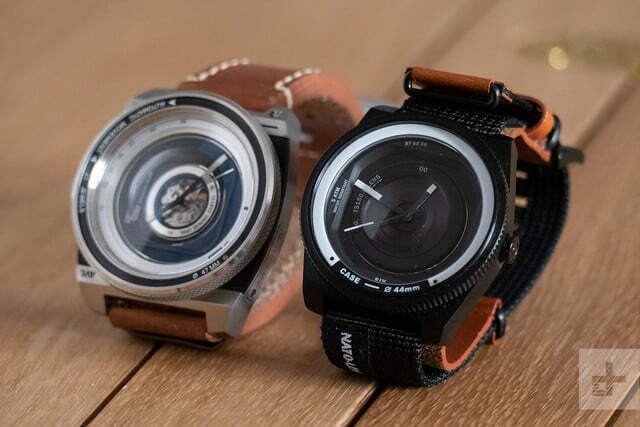 Giger-inspired Strom watches to the flight-inspired Graham watches, a timepiece is a blank canvas for the creative to fill. That’s what Japanese watch brand Tacs did with the AVL II — an automatic watch that took its key design elements from classic cameras. 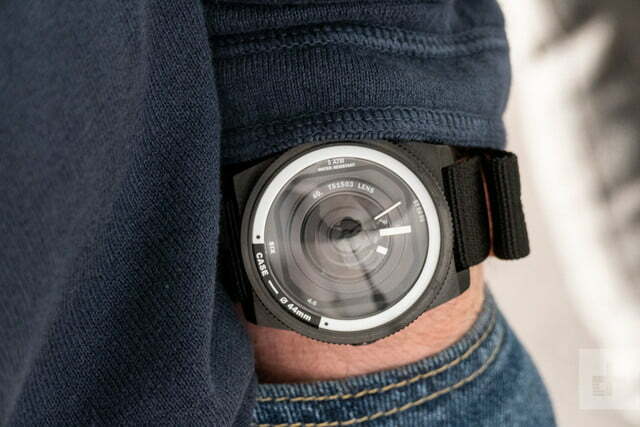 Now Tacs is back with the Nato-Lens, a second watch that recalls camera design, only this time it’s smaller, easier to wear and live with, and cheaper. That’s a tempting list of benefits, and I’ve been wearing one ahead of its official retail launch. What do I think? It’s a geeky, playful fashion accessory that you’ll want to wear. It may look like the lens of a camera, but the Nato-Lens does not take pictures. It’s not a smartwatch either and does not have any Bluetooth connectivity. What do you do with it? You wear it, and enjoy it. 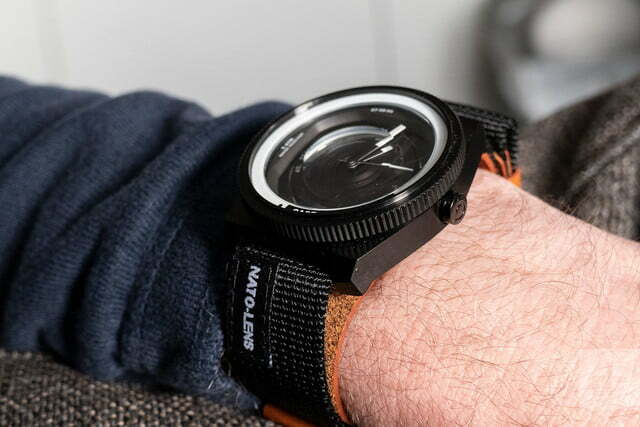 As the name suggests, the Nato-Lens is matched best with a fabric Nato strap. The black version here is high quality too — thick, with a tight weave, and stitched leather tips. A metal keeper is joined by a leather-free loop which has Tacs’ logo embossed on it. 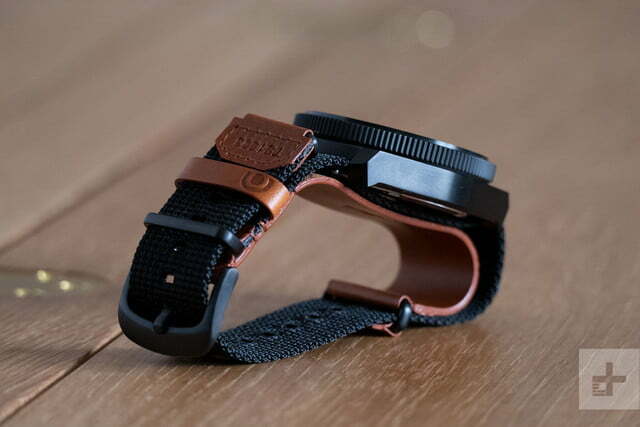 The underside of the strap is made from leather, making it more comfortable to wear for longer periods of time. The watch’s body is stainless steel with a black finish; the bezel rotates freely, and the crown adjusts the time. The squared off lugs form the basis of the body’s camera lens look, which comes into its own when you look at the Nato-Lens’ face straight on. The crystal is domed like a lens, and the face itself has a design that wouldn’t look out of place on the front of any SLR camera. Check out the case markings. A “00” sits at the top for the midday point, and “six” is written at the 6 o’clock point, while other design elements let us know the body measures 44mm. The black and white color scheme is simple, stark, and easy to read. The white tipped hands stand out, although they didn’t glow much in the dark. The bezel, which is shaped and textured like a camera’s focus ring, twists easily but doesn’t provide any function. 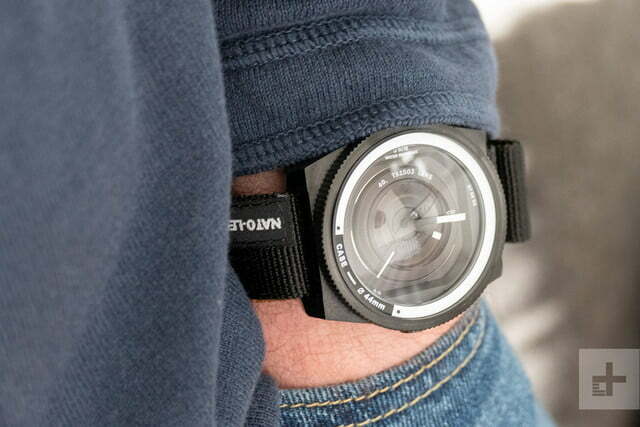 The Nato-Lens is water resistant to 50 meters, and is a quartz watch rather than an automatic like the AVL II. This means it’s easier to live with on a regular basis as there’s no need to set the time again if you don’t wear it for a few weeks. Tacs has used the Miyota 2039 battery movement for the Nato-Lens, and it has kept good time during the time I’ve worn it. It’s a geeky, playful fashion accessory that you’ll want to wear. 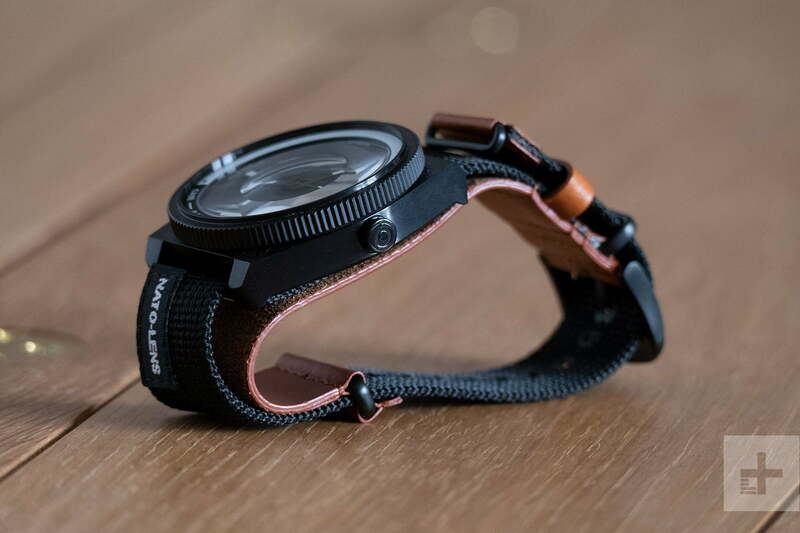 Tacs will send a second strap with pre-ordered Nato-Lens watches, and mine arrived with both a black Nato strap and a blue denim strap. The denim alternative feels great, but is let down because there are terms like “Unique is Simple” plastered on it. That gives off a slightly cheap feel that’s not representative of the watch itself. 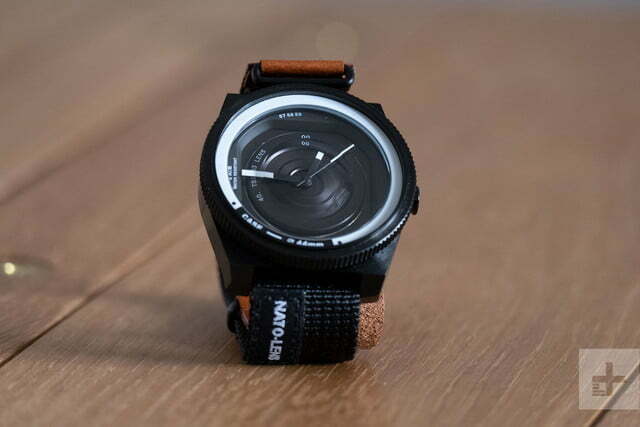 I quickly swapped it for the black Nato, which also suits the camera-look better, as it reminded me of a camera strap. 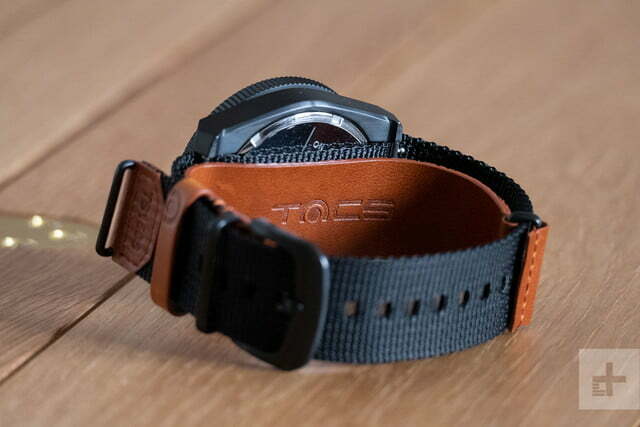 A Horween leather strap, like the one I tried on the AVL II is also available. Outside of the camera-inspired design, the AVL II and the Nato-Lens are very different. 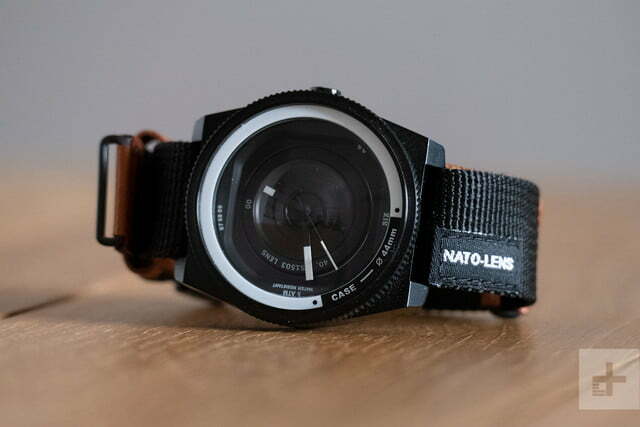 The Nato-Lens is much more wearable due to the 44mm body. 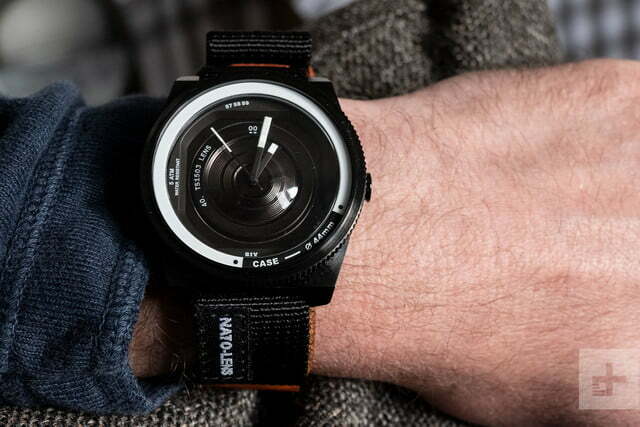 It slips under loose cuffs in a way the 47mm AVL-II doesn’t, and the more compact body will suit more wrists too. It’s still a big, masculine watch though. The price is considerably lower. The Nato-Lens is $220, while the AVL-II is $550. 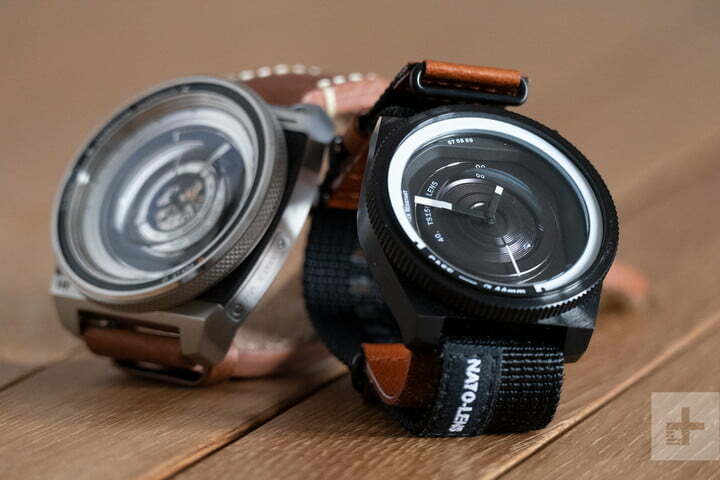 You do miss out on the automatic movement, sapphire crystal, and a see-through case back by choosing the Nato-Lens. Put next to each other, the monster AVL II really does look like it deserves the high price tag — with the movement visible behind the domed crystal, and greater attention to detail. However, it’s massive, heavy, and not really an everyday watch. Because the Nato-Lens is so much more manageable and considerably lighter, it’s ideally suited to everyday wear. Who is the Tacs Nato-Lens for? It’s the perfect example of a crossover product, appealing to both the geeky camera collector and watch collector equally. It’s not a novelty product, although it is noticeably cheaper than the AVL II in operation and style, and it neatly avoids any tackiness (provided you don’t go for the denim strap). Watches are less about telling the time, and more about design and suitability as a fashion accessory today, so choosing one that makes you feel special is important. The Nato-Lens works like this. It’s a fashion watch, just with a geekier twist than something like a Swatch, whereas the AVL-II is a more serious timepiece. 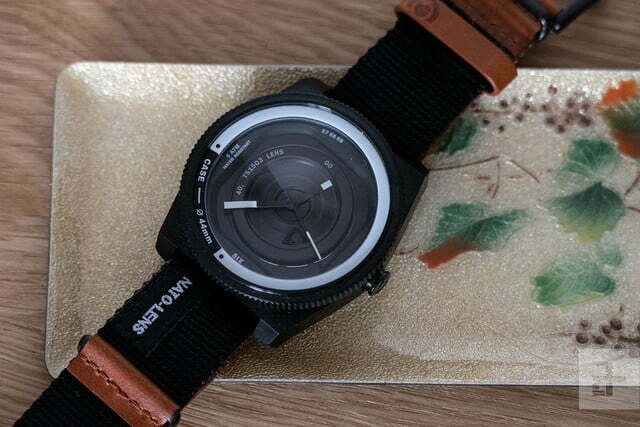 The reasonable price makes it more appealing to casual watch or camera fans too. 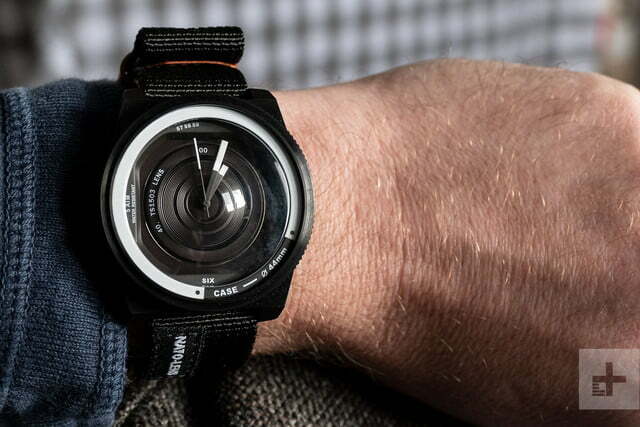 For the price, it’s possible to buy one to wear as an alternative to your new smartwatch, and still pay less than it’ll cost to buy the AVL II on its own. The Nato-Lens watch in black stainless steel or regular stainless steel is available soon from Tacs’s own website for $220.